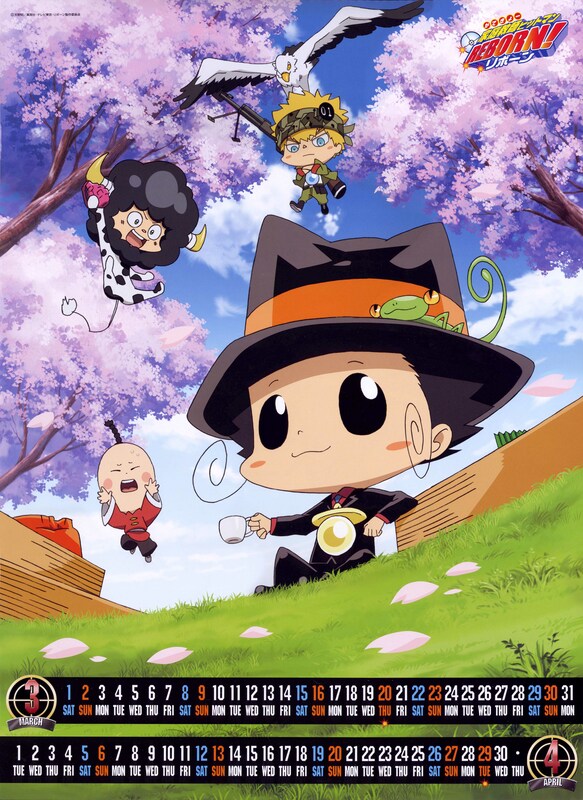 Page 3 of the 2008 Calender B for Hitman Reborn! Scanned in 8 pieces. They're totally cute! Owww! X3 I would like to see Lal Mirch there too!XD I can't wait to see the future ark into the anime! Nice to see all the cute guys together. I saw this pick when I was searching around for Katekyo Hitman Reborn wall scrolls to buy. I love this pick. Its so adorable.